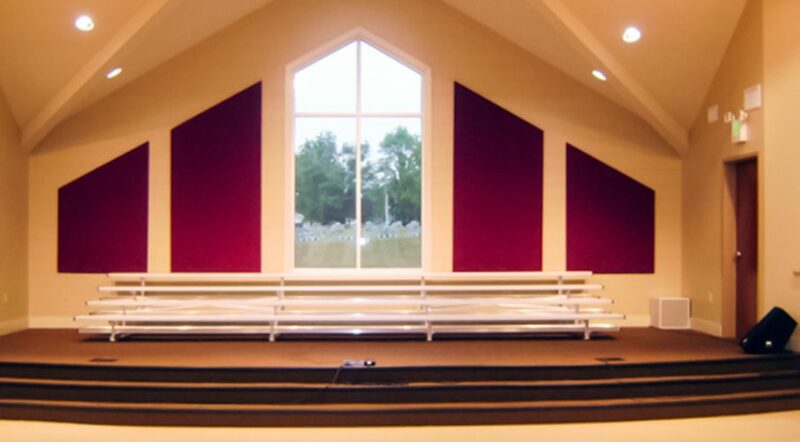 Poor sound quality and excessive echo recently became too much to handle for members of a Tennessee church. Among other things, their multi-purpose space was being used as church gym, back-up worship space and multimedia event center. Excessive echo seriously deteriorated the quality of communication within the space. 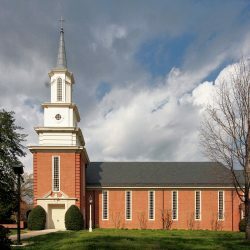 Facing a staggering reverberation time of 5½ to 6 seconds, the church reached out to Acoustical Solutions. A solution that was not only effective, but also designed to align aesthetically and functionally with the room’s many purposes. 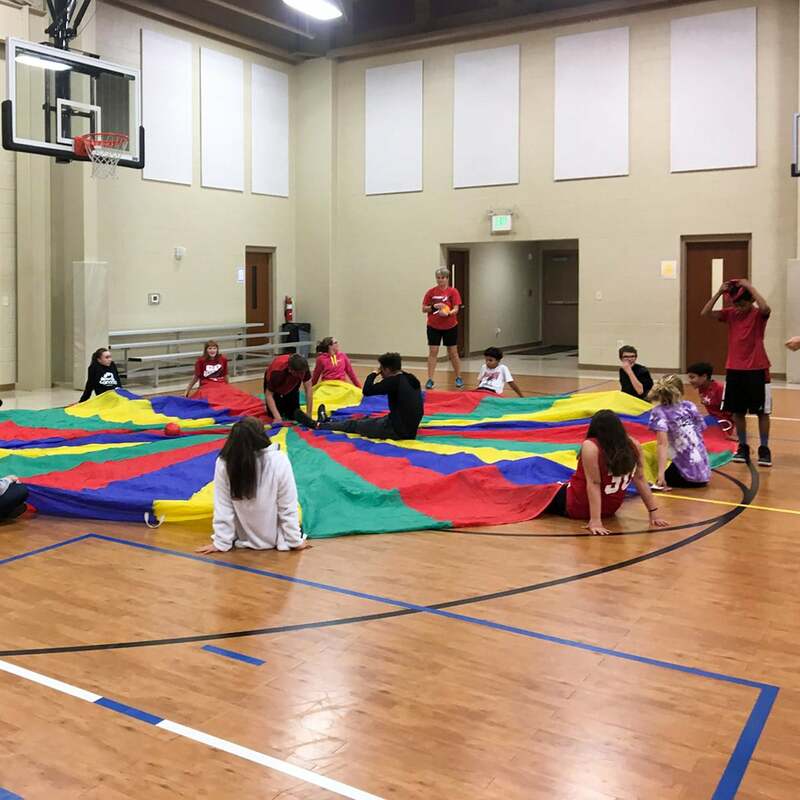 Blairland Baptist Church in Knoxville, Tennessee was looking for ways to improve the sound quality in its Family Life Center. The center is a 104′ x 62′ x 27′ multi-purpose space which had a large number of hard parallel surfaces.. 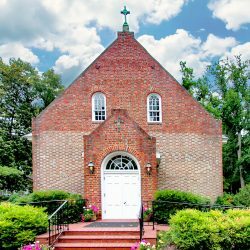 It was – and still is – serving many different functions including church, gym, back-up worship space and multimedia event center. The Family Life Center at Blairland Baptist was a great space for the church. Its hard parallel surfaces were creating reverberation times between 5½ and 6 seconds. This made communication and presentations difficult, if not impossible. 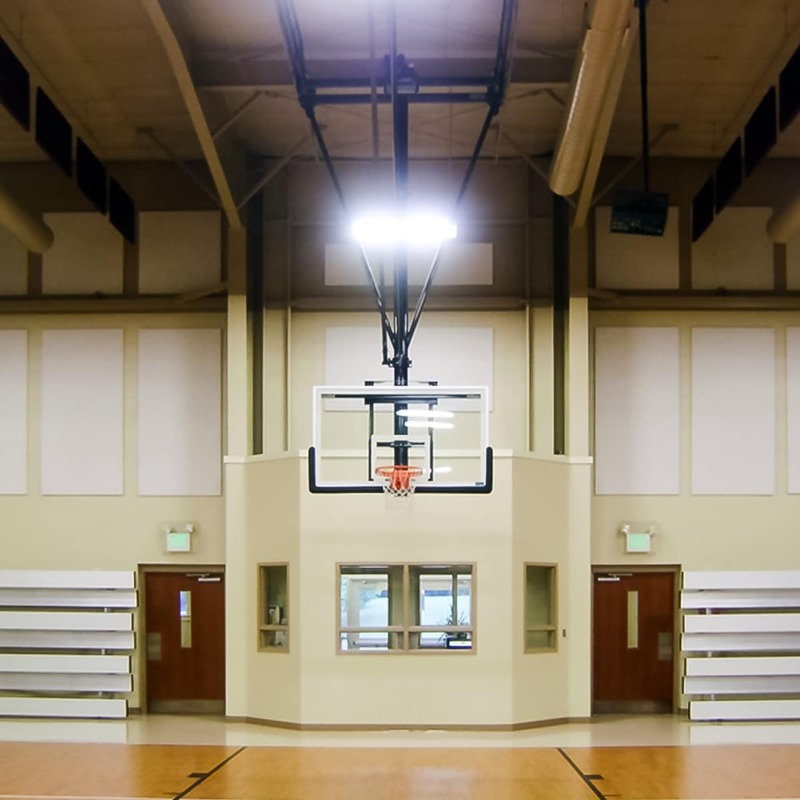 The church contacted Acoustical Solutions looking for a solution to its problem. 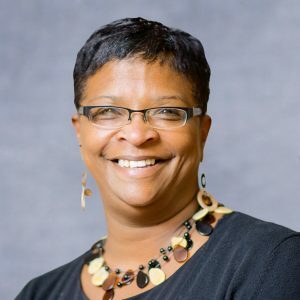 Because the space served many functions, they had a list of requirements that would need to be met in order to move forward with the project. The church wanted a much-improved RT60 reverberation time, looking to drop down into the 2-second range. They were working on a limited $10,000 budget. They wanted help designing a look for the room that would serve all of their various functions as well as stay with a color contrast look in the space. Acoustical Solutions recommended adding 2,000 square feet of sound absorption material to the space to help decrease the reverberation time. It was also suggested to apply the products to both the walls and ceiling because only treating one would have left a flutter echo in the space. 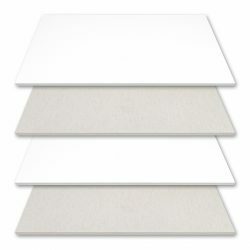 Flutter echo is eliminated by treating adjacent surfaces, which includes wall/wall AND ceiling/floor. Adding slightly more than 2,000 sq. ft. of material for less than $10,000 can be a daunting task. Product selection is key. 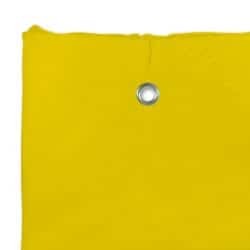 Treatment should include materials that will have high sound absorption ratings (NRC values), be able to serve the environment in which they are placed, and still be decorative. 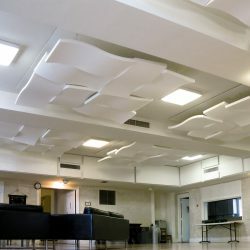 The first product Acoustical Solutions suggested and used was the PolyPhon™ Polyester Acoustic Panels. 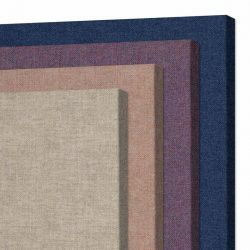 These are the best “bang for the buck” because they create a large square footage area of sound absorption at a lower cost than other acoustic panels. 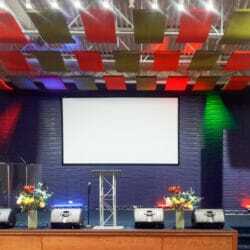 Thirty-two 4’x8′ and (8) 4’x4′ PolyPhon™ Polyester Acoustic Panels were used on the walls. 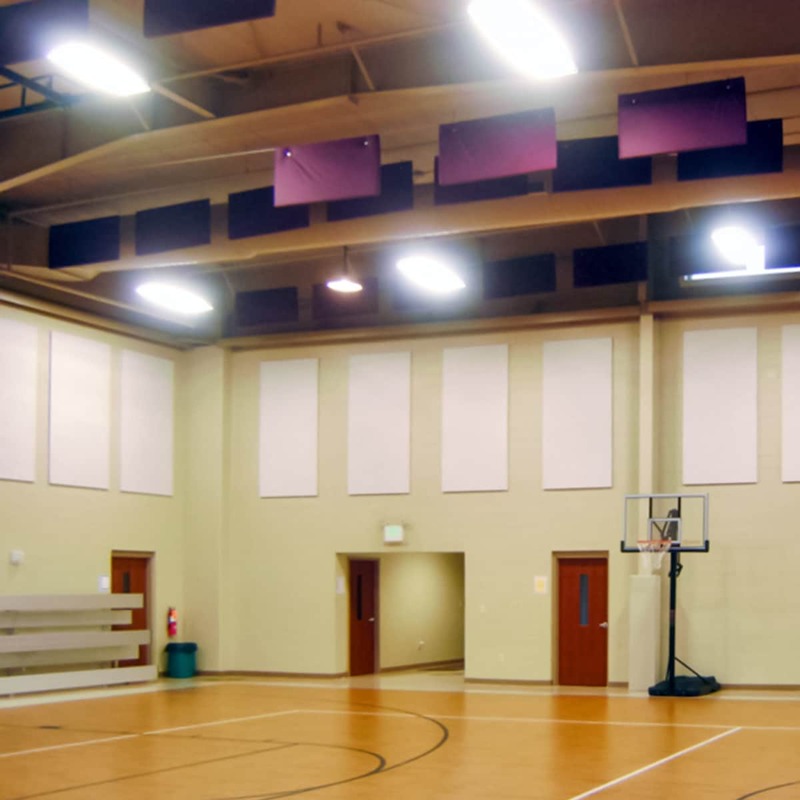 The ceiling required sound baffles, which needed to withstand the abuse of an occasional basketball or volleyball, so AlphaEnviro® Ripstop Sound Baffles were installed. In total, (96) 2’x4′ sound baffles were tied into the metal trusses at the ceiling. For color contrast, they were stitched in a wine-color. 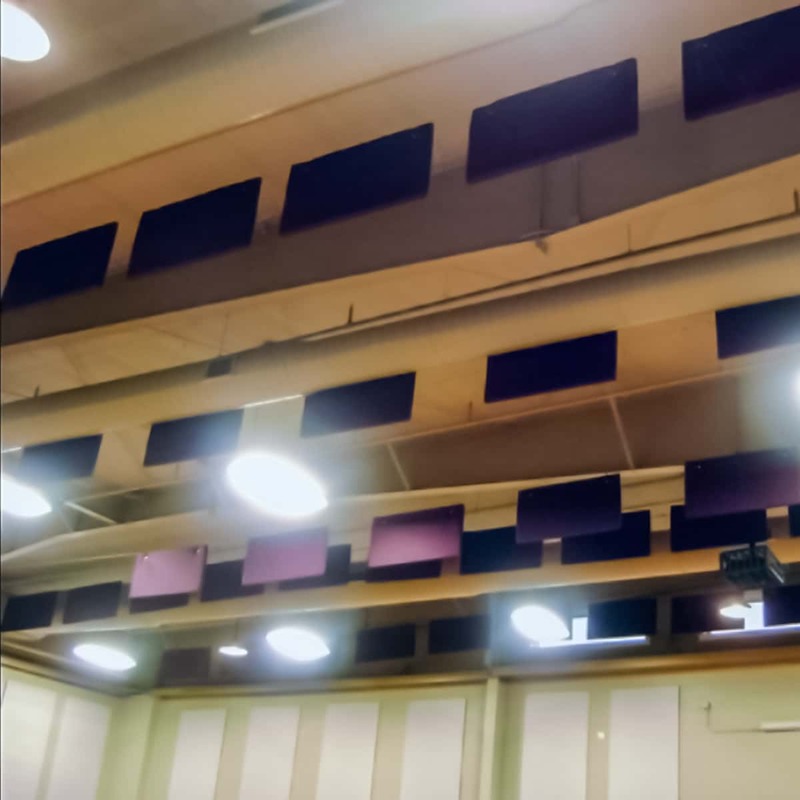 Finally, an additional 140 square feet of fabric wrapped AlphaSorb® Acoustic Panels were added to the main focal point of the room: the stage. The fabric wrapped panels really helped to “dress up” the area for events. The stage has large glass windows and angled walls. Since only four panels were installed on that wall, the idea was to make them as decorative as possible. 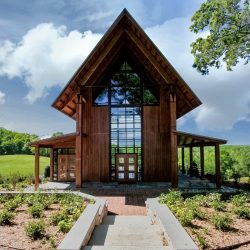 The church used a chalk line to determine the angle for the panels and Acoustical Solutions cut to match the angled roof-line. In the end, 2,070 square feet of sound absorption products were added to the space, all of which ranged from NRC .75 – NRC 1.15. The reverberation time was reduced to slightly less than 2 seconds. 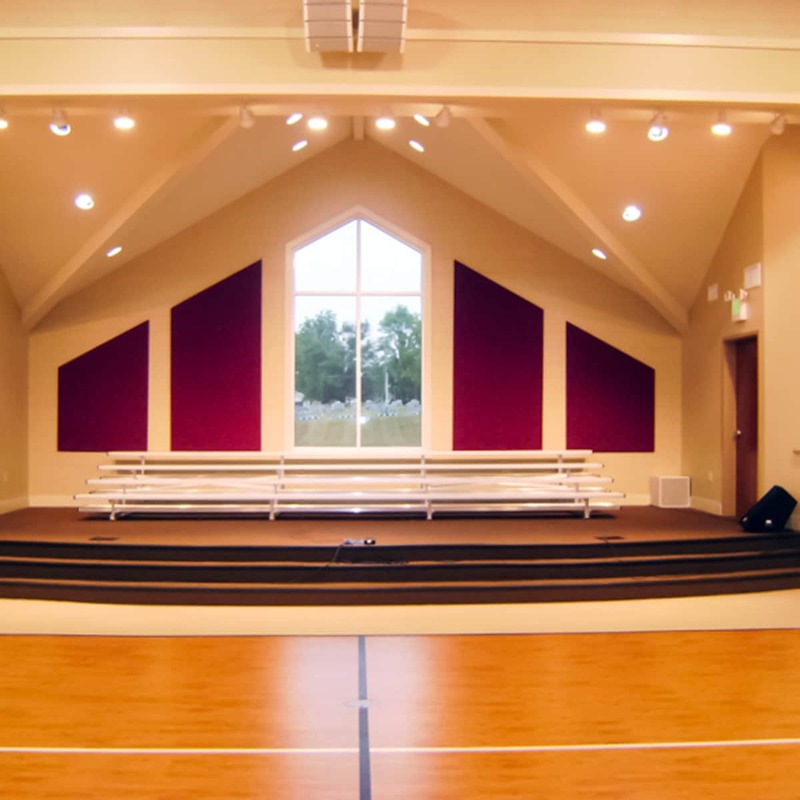 The church ended up with a much-improved acoustical environment, the color contrast and new look for the room they desired, and a project that ultimately stayed within their budget. This goes to show that proper project planning really is necessary when trying to achieve your goals.